NOTE: This content is old - Published: Monday, Apr 23rd, 2018.
about the proposed relocation of local GP services. Last week it was announced that ‘transfer of GP services’ from Gresford Health Centre to Rossett Surgery and Llay Health Centre has been proposed by Alyn Family Doctors. 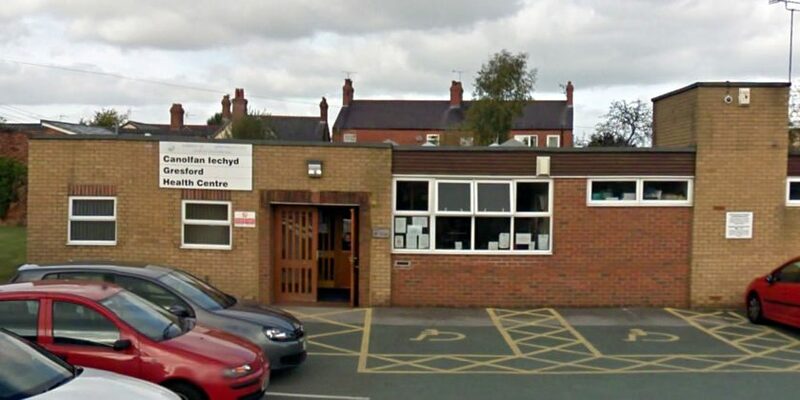 The practice currently provides services across the three sites, however a letter distributed to patients last week said: “We are sorry to announce that we are applying to the Betsi Cadwaladar University Health Board to consider a proposal to transfer all GP services at Gresford health centre to Rossett Surgery and Llay Health Centre. “Apart from location your services will be unaffected and likely enhanced. We feel this change is required to secure long term sustainable and viability of the practice and to maintain a safe, effective and quality service. A consultation process until May 14th 2018 is now underway, with patients urged to have their say. Hundreds of people have signed a petition to ‘save Gresford Doctors Surgery and associated services from closure’, which is less than 10 signatures short of its 500 target at the time of writing. A public meeting has also been organised for 7:30pm on Thursday 10th May at Gresford Trust Memorial Hall, for residents of Gresford and Marford to voice their concerns about the proposals. 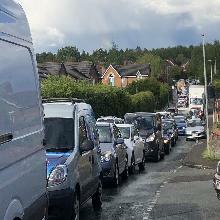 The meeting has been organised by Gresford Councillor Andrew Atkinson and Marford Councillor Russell Gilmartin who, along with Mark Isherwood AM, have requested that the health board send a representative next month. The meeting residents of their wards had initially been organised to raise their concerns with the original plan that questions could be put directly to the practice partners. However it has since been confirmed that a representative from Alyn Family Doctors will not be in attendance. Cllr Atkinson said: “We’re both disappointed that the practice partners have declined to attend the meeting, we wanted an opportunity for our residents to hear directly from them about their plans. Over the weekend a letter delivery to residents informing them of the meeting was also carried out. Cllr Gilmartin commented: “Cllr Atkinson and I are deeply disappointed that the practice put up information posters and displayed information in the surgery without having written to all patients first as requested. Wrexham’s MP and Assembly Member are also calling on residents to take part in the consultation process and make their opinions heard. “Constituents have contacted me this week and I have written to Alyn Family Doctors and Betsi Cadwaladr University Health Board on their behalf. “The Practice has outlined their reasons for putting forward this proposal but, as explained in their letter, it is vitally important residents from Gresford, as well as the surrounding areas, take part in the consultation before the 14th May deadline. Ian Lucas MP commented: “Gresford people cannot understand a proposal to reduce health service provision in their expanding community and are very upset. If Gresford or Marford residents would like more information or wish to get involved in the campaign they are encouraged to contact the two councillors. You can sign the petition to ‘Save Gresford Doctors Surgery and associated services from closure’ here.